Several weeks ago, Dana White told ESPN that a welterweight bout between fan favorites Nick Diaz and Jorge Masvidal had been added to UFC 235 on March 2. Unsurprisingly, this matchup generated quite a bit of excitement among fans. Unfortunately, it now sounds as though its announcement was premature. 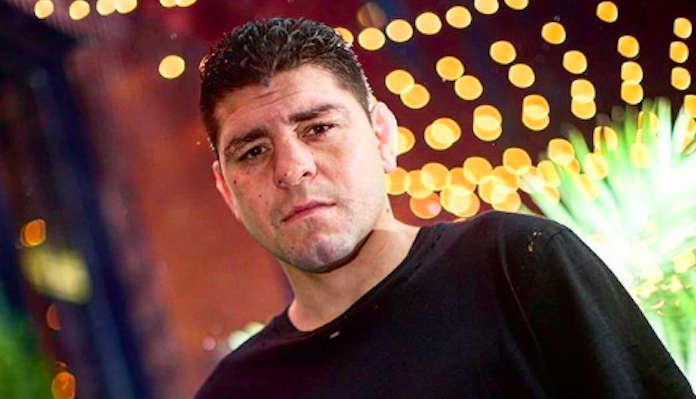 Since the fight was first reported, Nick Diaz has repeatedly refuted its legitimacy. “I think it’s rude of the UFC to try and lowball me and expect me to negotiate a deal while I’m training for a fight,” Diaz said recently via text message to ESPN. “It’s not gonna go down like that. If anybody wants to fight me they know where to find me. I’m not a hard guy to find. Come get some. Speaking at the UFC 232 post-fight press conference, UFC President Dana White finally confirmed that, despite announcing the matchup to ESPN, this Nick Diaz vs. Jorge Masvidal fight is most likely not happening — at least not at UFC 235 as planned. Nick Diaz has not fought since January of 2015, when he battled middleweight legend Anderson Silva to a unanimous decision loss. Shortly after this fight, the bout was ruled a no contest, when Silva tested positive for drostanolone and Diaz tested positive for marijuana metabolites.